One very important, but sometimes overlooked, aspect of bridge engineering is the systematic inspection and load rating of bridges. These structures slowly deteriorate over time, due to weather and vehicular collision. 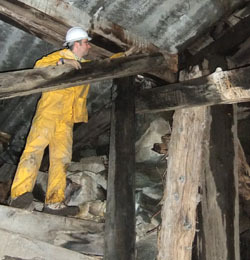 A systematic inspection to access damaged parts is the key to bridge preservation. Shearer Design provides bridge inspection and load rating services for all types of structures. 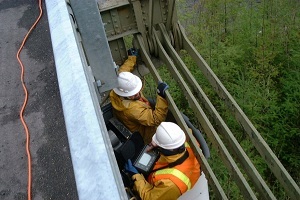 We maintain Washington State registration and qualifications and are up to date on the current bridge inspection BMS recording files and software. As follows is a selection of our projects where we were involved in one or more aspect of the bridge inspection, load rating and repair, as required. Emergency Condition Evaluation post Earthquake, Fire, Collision, etc.